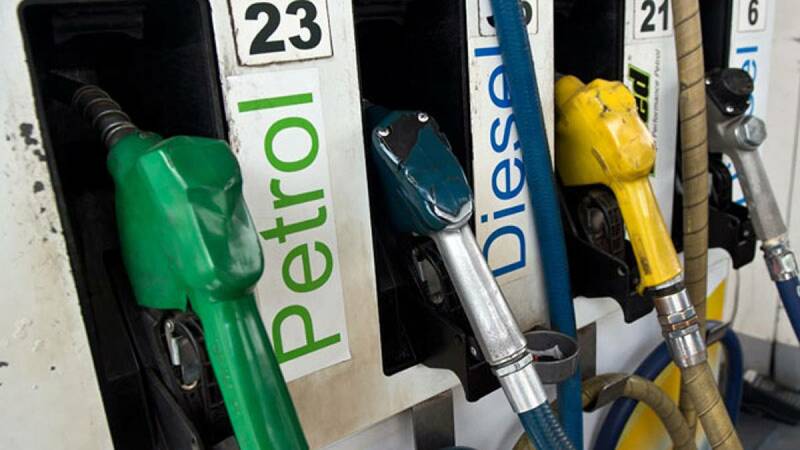 New Delhi : Going with the international trends, petrol prices have been hiked by 58 paise per litre, while diesel prices have been slashed by 31 paise. Petrol will cost Rs 64.05 a litre from midnight tonight as against Rs 63.47. Similarly, diesel will cost Rs 52.63 a litre as compared to Rs 52.94 a litre. # Petrol prices have been hiked for the second time within a month. Petrol price was last hiked on September 1 by a steep Rs 3.38 per litre and diesel by Rs 2.67 a litre. # Petrol and diesel prices may further see changes depending upon the changing trends of the global market.